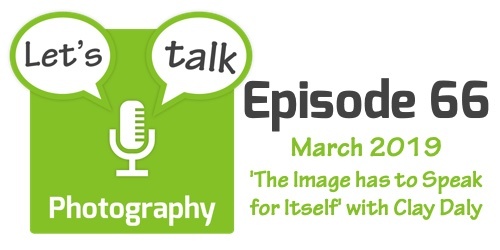 This month Bart chats with photographer and podcaster Clay Daly from the Through My Lens podcast. The conversation is wide-ranging, but loosely focused around the quetion of what is and is not photography. The same phrase came up again and again — “the Image has to Speak for Itself”.